MUNICH -- General Motors Co. says a bid for Opel from Magna International faces hurdles while a rival offer from Belgian investor RHJ International would be easier to accept. RHJs offer would need less state aid and would keep GMs global alignments intact. This remains a reasonable and viable option to be considered as the very difficult issues around the Magna negotiations continue to be worked, Smith writes. Smith said GM does not have a favored bidder and is talking with Magna to formulate a bid that can be implemented. We remain fully open to working these issues to a conclusion, but we cannot say when that process will conclude, other than to say, as soon as possible,  Smith says. If it wins control of Opel, Magna wants to expand the brand in Russia, home of the supplier's bidding partner, Sberbank. Russias No. 2 carmaker, GAZ, is an industrial partner in Magnas consortium. GM's Chevrolet marque is the top-selling foreign brand in Russia. The company would be reluctant to see Opels technology used to strengthen a competitor. 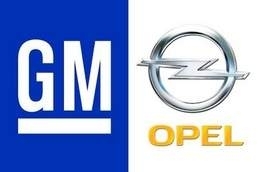 GM, which emerged from bankruptcy on July 10, is selling a majority stake in Opel and its British sister brand, Vauxhall, because it cannot afford to keep running its loss-making European operations. The German government, which is being asked to provide Opel with loan guarantees, and Opels labor union have expressed a preference for Magna's bid. The endgame of the battle for control of Opel will likely be played out in the Opel Trust if the German government and 35 percent shareholder GM cannot agree on an investor. The Trust, which has been responsible for Opel since GM entered bankruptcy in June, holds 65 percent of Opel shares.